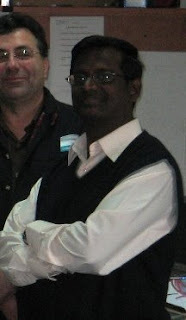 Easternpak promoted Ganesh Shankar to the position of Management Systems Specialist, effective 1 April 2008. Ganesh will report functionally to Centre of Technical Excellence (CTE) of INDEVCO Group Paper & Containers Division and administratively to Easternpak management. Ganesh joined Easternpak in 2000 and has shown dedication and on-time task delivery. In his new position, he will be handling the MENA region for supervising management systems and certifications, standardizing administrative procedures, gathering yearly business plan data and distributing it. Join us in wishing Ganesh success in his new position!